Provides Classical English furniture that compliment and enhance your home or office interior. 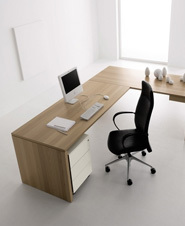 Large Australian manufacturer of easy-to-assemble computer and home office furniture. The Calligaris group designs, produces and distributes chairs, tables, beds, sofas, storage units and furnishing accessories. We are currently setting the worldwide benchmark for the highest quality system furniture. Offers mobile and stable wooden furniture along with all wooden decoration components at its own facilities. Provides custom, reproduction, and original design furniture for home and office. Leading producer of fine English traditionally designed furniture that offers home office furniture to suit today’s lifestyles.